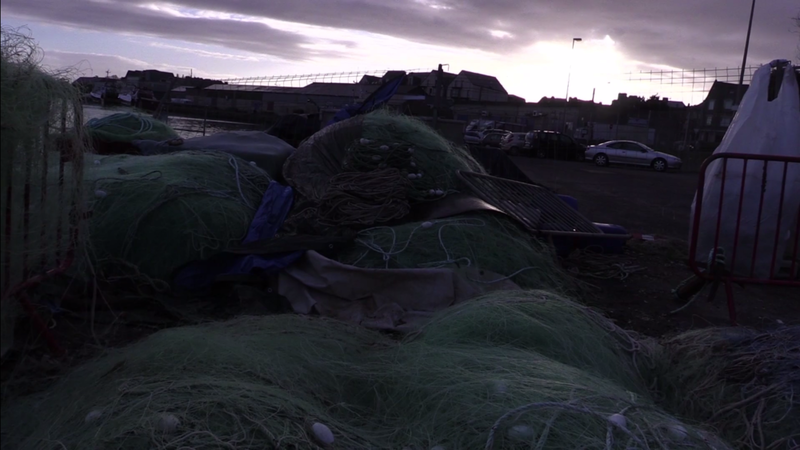 While the ﬁlm has been inspired by ﬁshermen’s testimonies about the scarcity of ﬁsh supplies in their seas, the narrative takes place in a prospective future, 20 years from now. Human consciousness has changed and ﬁshing has became a ritualistic act. Sea life is considered a gift to humans from the underwater gods, as a second chance to redeem themselves. Fishing then becomes an act of redemption at a time where rare goods became sacred. Through short documentary ﬁlms and poetic literature her work explores the construction of identity and questions the underlying conditions that make us feel at home. Her documentaries have been shown multiple times in France and Luxembourg, most recently in Casino Luxembourg. Twenty years ago, a Colorado woman built what she called the UFO Watchtower in the middle of nowhere in the San Luis valley, motivated by regional reports of strange sightings in the sky. A local joke at first, the Watchtower has since hosted nearly 100,000 visitors. What draws so many travelers to the middle of the desert? The Watchtower’s charm is probably an effect of its kitschy status in the catalog of Americana, but it also retains an hint of the surreal. The site focuses expectations of otherness, drawing witnesses of the uncanny, tellers of heretical tales, and spectators of the unusual. 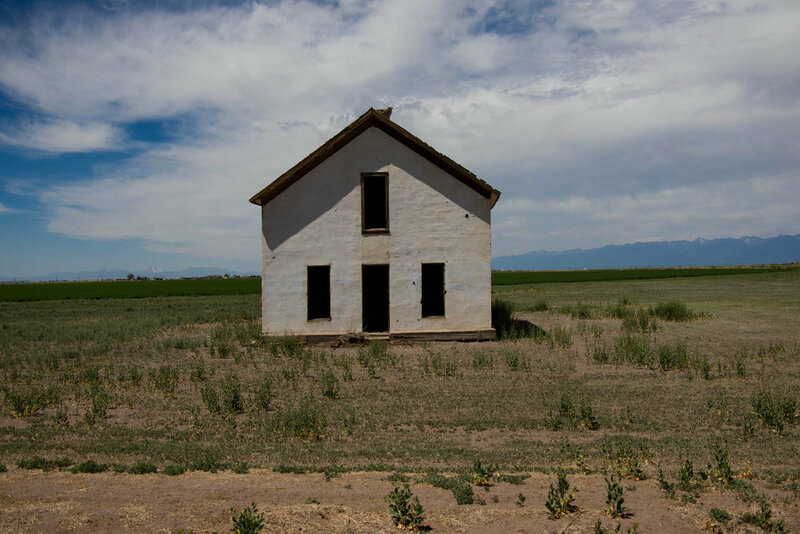 The Watchtower’s own uncanniness is evoked by the San Luis Valley’s spectacular geography as well as by its self-declared spatial anomaly. Two powerful vortexes are said to exist on the premises, creating a zone of strangeness where visitors leave behind personal mementos. The left-behinds have given what’s called a “vortex garden” the look of a cabinet of curiosities. The inhabitants of the so-called garden are castaway toys, trinkets, statues, and mannequins—the simulacra of modern life, no longer wanted. Here in the desert they live a second life made possible by desertion and the randomness of the universe. This second life is enriched by the play of identity in the absence of a presence (their first life). They have become traces of an otherness that clings to the hot desert floor like the spines on a Saguaro. That’s the fancy summary. The not-so-fancy: the Watchtower is a quirky essay film with a Rod Serling style narration about a lonely woman in Southern Colorado who watches the skies and lends an ear to curious travelers and storytellers. Jeff Porter is a writer and filmmaker who teaches in the English department at the University of Iowa. He is the author of three books and several essays and stories that have appeared in various journals, including the Antioch Review, Isotope, Northwest Review, Shenandoah, Missouri Review, Hotel Amerika, Seneca Review, among others. In a suggestive journey through the landscape we move out of the sea, up on land and our way to the city. Traces of human activity can be seen everywhere, the consequences of our lifestyle mark the planet. Flowing Place is a dreamy elegy, a meditation upon being in the middle of a slow change, and an attempt to deal with the irreversible imprint humanity has made. (University of the Arts Helsinki) in 2016. She has taken part in various festivals, screenings and exhibitions in Finland and abroad since year 2007. A prairie is set ablaze in order to stifle the expansion of an invasive species that targets human radio signals; colonies of lichen are researched as replicable models for human life; mutagenic crops grow rapidly under a specific wavelength of purple light. But humanity's attempt to mold nature in its own image is a double-edged sword: When catastrophe strikes, humans retreat to a network of ice caves, where they’ll make their last stand. Charging scenes of the present with dystopian speculation, Field of Repose blurs the boundaries between documentary filmmaking and science fiction to investigate overlooked environmental devastation in the overlooked state of Iowa. Footage collected from disparate locations—a university herbarium, karst sinkholes inhabited by primordial flora and fauna, a telecommunication tower job site, a decaying grain silo, among others—interlocks to evoke a narrative of present danger and future disaster, of plant expansion and humanity’s retreat. The film rejects the human individual as the focus of narrative cinema, and, instead, adopts the perspective of a symbiotic “implosive whole” in which human and nonhumans are related in an overlapping, non-total way. Emily Drummer is a filmmaker who integrates experimental, documentary, and fiction filmmaking strategies as a framework to examine the environment and its inhabitants, both human and nonhuman. She received her MFA in Film and Video Production from the University of Iowa and her BA from Hampshire College. Her films have screened at venues such as Antimatter [media art], Other Cinema, Experiments in Cinema, Alchemy Film Festival, Milwaukee Underground Film Festival, and Haverhill Experimental Film Festival. She was awarded a 2017 Princess Grace Film Honoraria and a 2015 Flaherty Film Seminar Fellowship. She served as the Festival Director of the Iowa City International Documentary Film Festival for two years, has taught workshops for the cinema arts non-profit Mono No Aware in Brooklyn, NY, and co-founded the Iowa City based microcinema Vertical Cinema. She currently lives in Lancaster, PA where she is a Visiting Assistant Professor of Film at Franklin & Marshall College.